I love books. Yes I do. But I also love fashion. 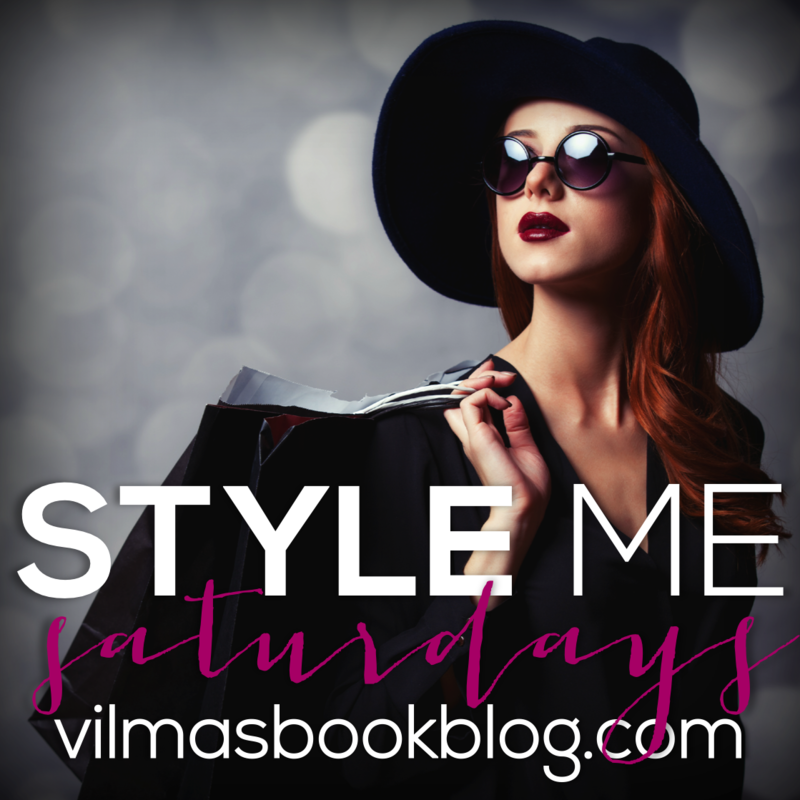 I ran a lifestyle blog before Vilma’s Book Blog was born, and now, I’m happy to re-introduce that type of coverage via Style Me Saturdays! Every now and again, on Saturdays (of course), I’ll feature something I’m crushing on… something fabulous in the world of beauty and fashion. Make sure to subscribe to the blog or connect with me on Facebook, so you won’t miss it! 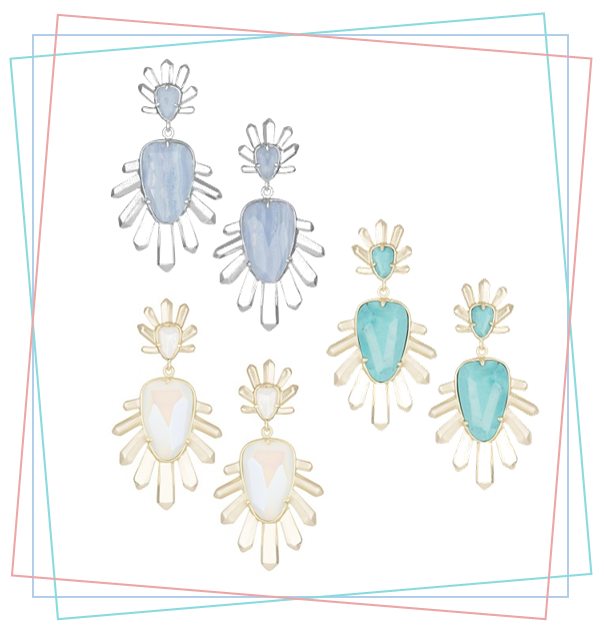 This week, I’m all about Kendra Scott’s new Avant Garden collection! It. Is. Stunning. I’ve been a long-time Kendra customer and I haven’t gushed this much over a line in quite awhile. Inspired by garden florals, the colors are nature-inspired, soft and warm. Think Rose Quartz. Blue Lace. Ivory Pearl. The styles are reminiscent of proven KS faves, with delicate, feminine shapes and even some great new pieces to extend her signature line (see Dani earrings). 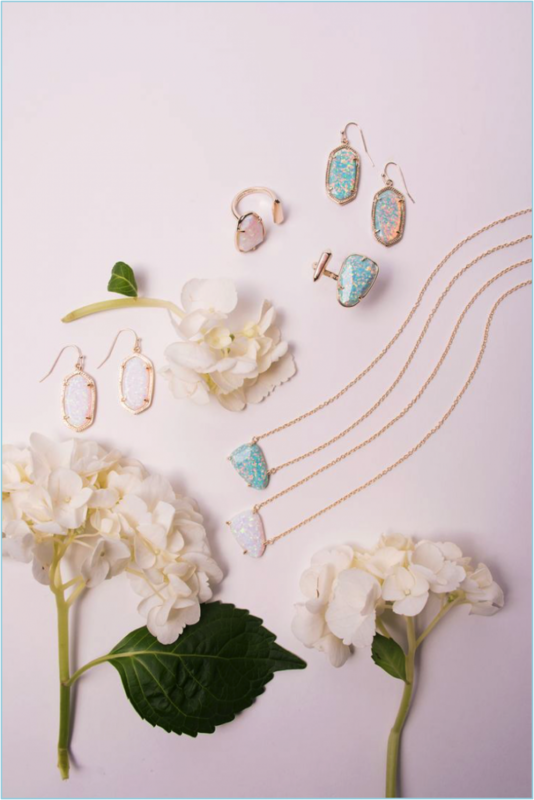 Overall, this Spring’s Avant Garden collection touts a gorgeous combination of elemental beauty and inspiration with modern styles designed to make a statement. Recently, I dropped by the Austin headquarters store to take a closer look at the collection. Love the shape. Love the colors. Love that these earrings seem both delicate and bold in their starburst-like shape. I own the Blue Lace Agate/Silver style and they are not too heavy, especially with Lobe Wonders. I am in love with all the rose gold, rose quartz pieces. They seem wonderfully beautiful, ethereal almost, and I want it all! I own the Christen long necklace ($95), which seriously sparkles, as well as the Susanna Link Bracelet ($175) and Haylee ring ($60) in Rose Gold Drusy and the Jessi Ear Jackets ($70). I am dying dying dying for the Connie Necklace ($150), which is a great piece for layering with a long necklace like the Susanna. Feast your eyes on Harlow’s little sister, Harlie. 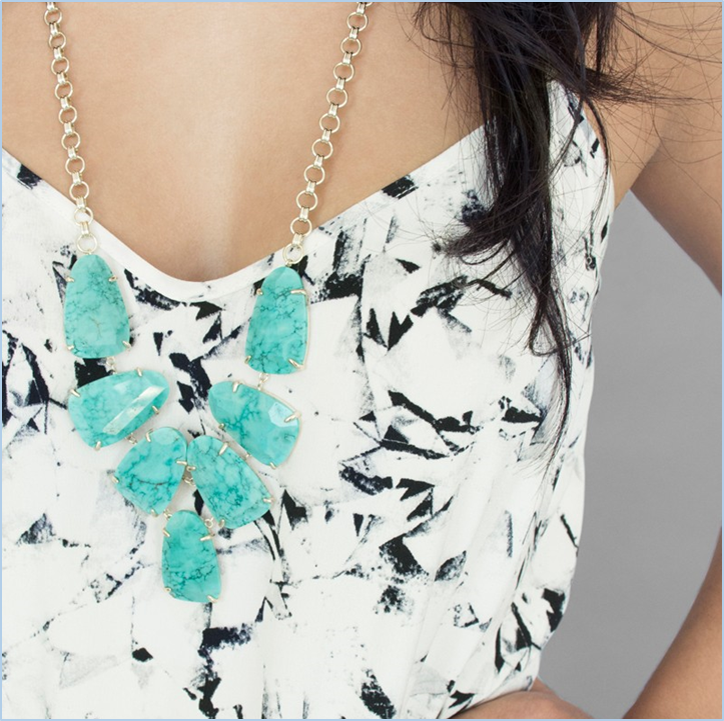 Love love love everything about this necklace. It’s a smaller stone than the Harlow and the necklace length is significantly longer so that it sits mid chest. It’s a must-have item like the Harlow. Available in Turquoise, Blue Lace Agate, Mint, White Iridescent and Rose Quartz. I am crushing hard over the fiercely modern stud and climbers that are a part of this collection. 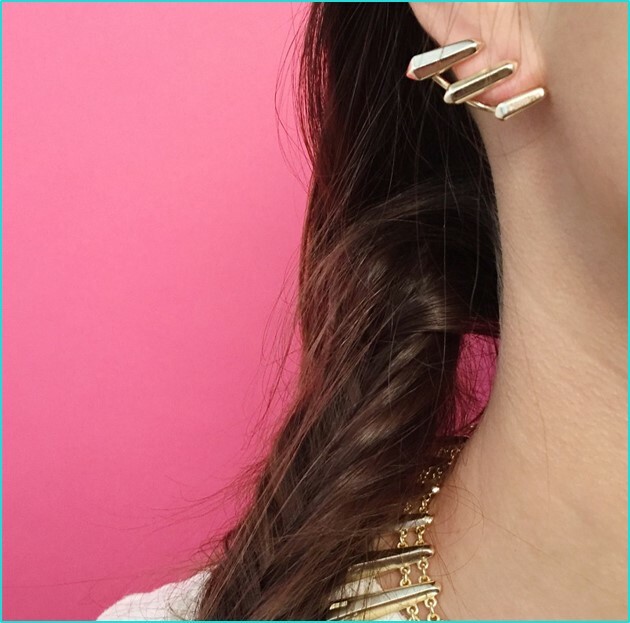 The climbers, in particular, are so hot right now, and I am loving these Billie Ear Climbers ($75). I need these! I also am in love with the Jessi Jackets—a really flexible jewelry piece (available in silver, gold, rose gold). Basically, you use the backing as the backing to any stud of your choice. 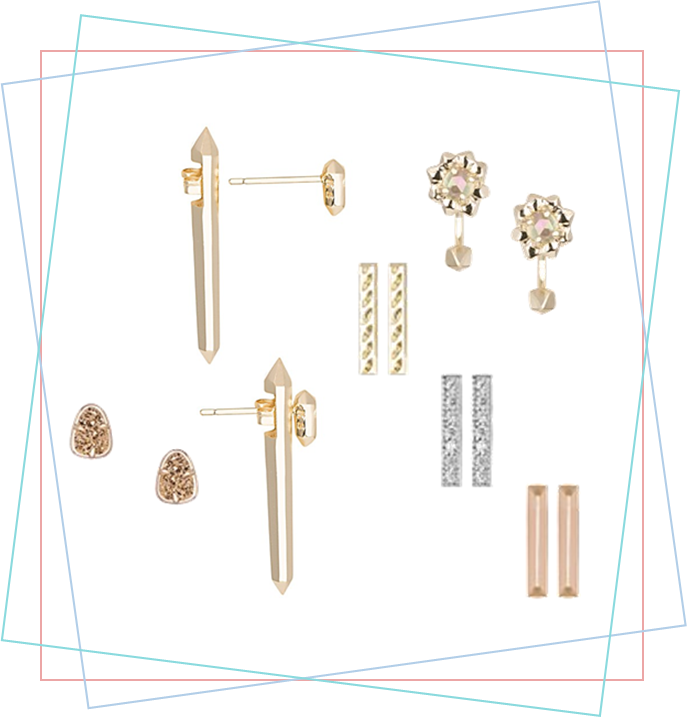 I particularly love the Jessi Jackets paired with the Hazel studs ($60), especially in Drusy! Drusy gemstones are made by micro-crystals that form on a matrix, shimmering like thousands of fine sugar crystals catching the light. They take a great deal of time to grow and when ready, can be dyed in beautiful colors that sparkle wonderfully. 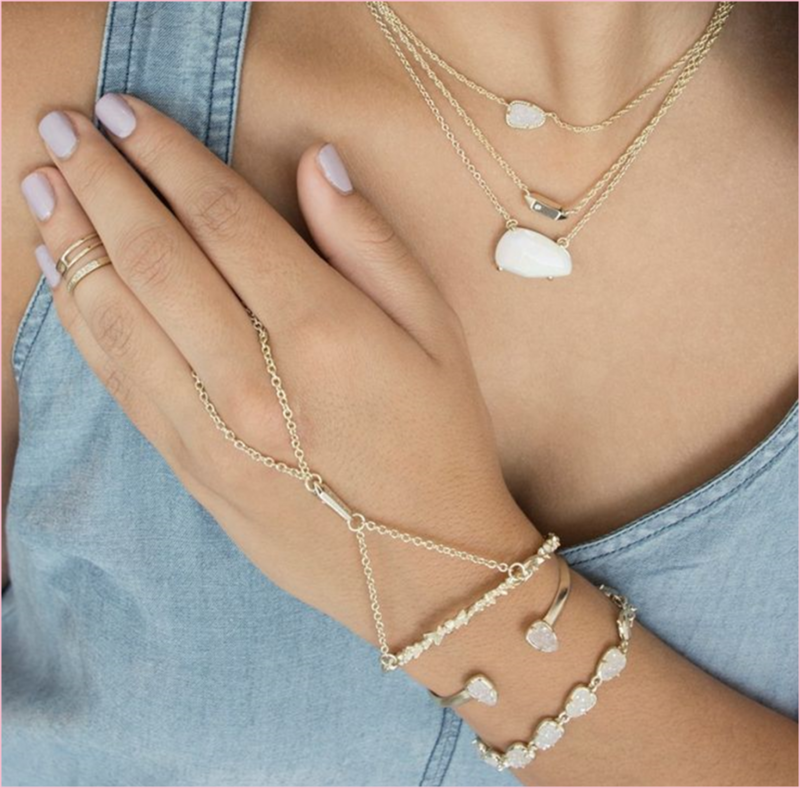 This collection touts a beautiful array of drusy options. 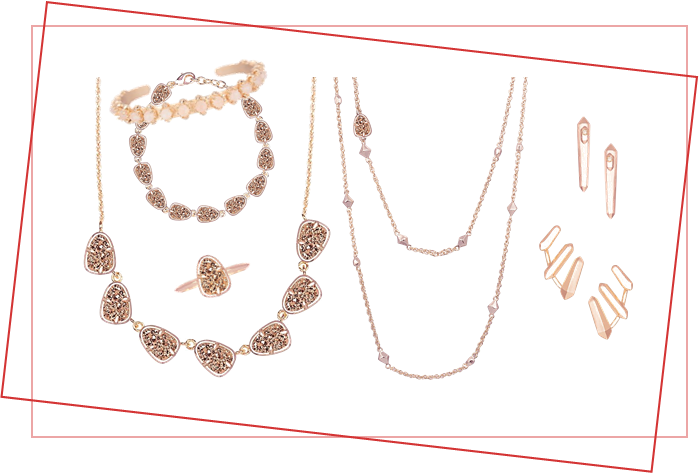 My favorites are the Hazel stud earrings and the Connie necklace, especially when paired with the Susanna link bracelet. This is a stone new to the collection. 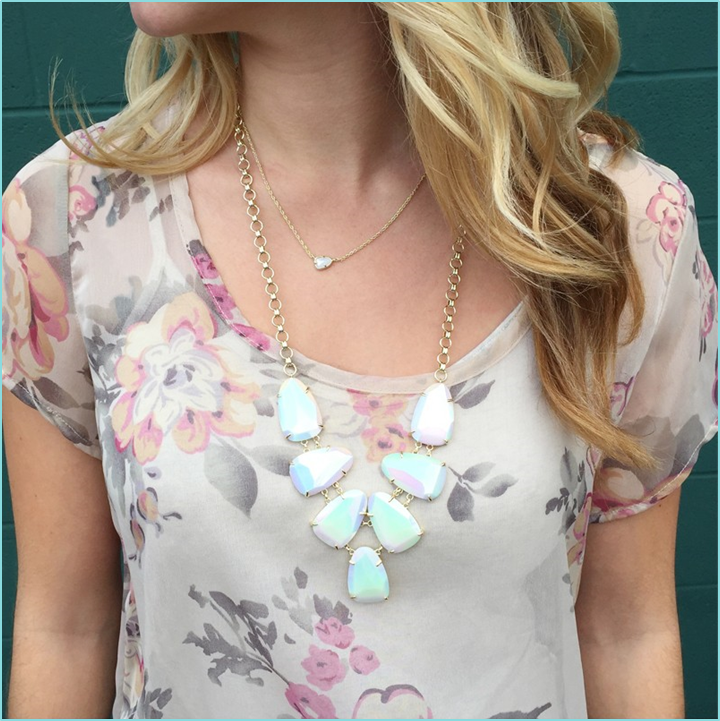 The Kyocera Opal glimmers like a rainbow prism with flecks of yellow, pink and blue (Aqua Kyocera) and prismatic iridescence (White Kyocera), giving it a striking, luminescent glow. 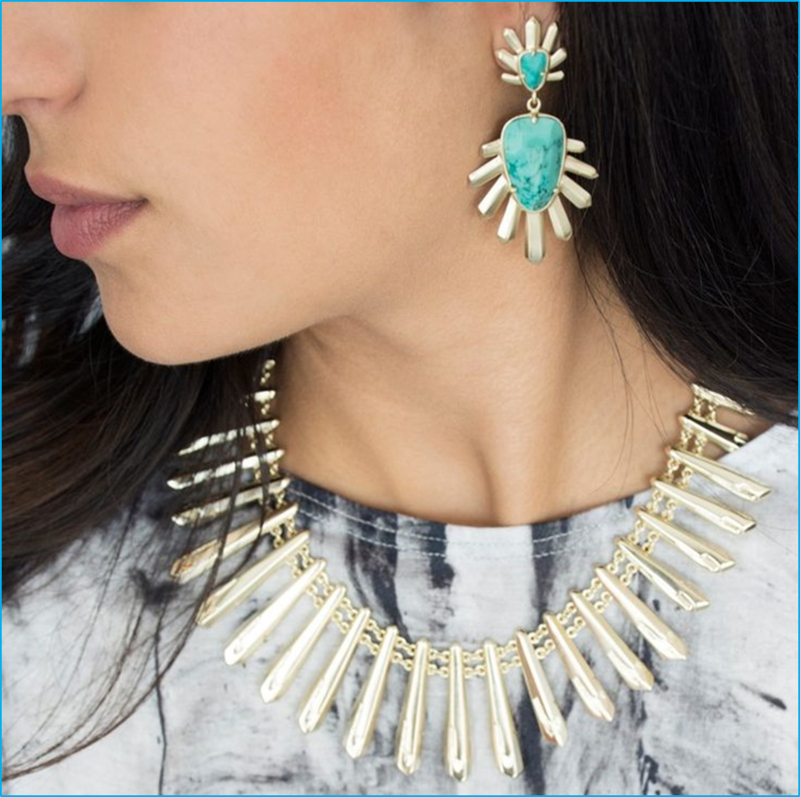 Check out the Isla necklace or Dani earrings. 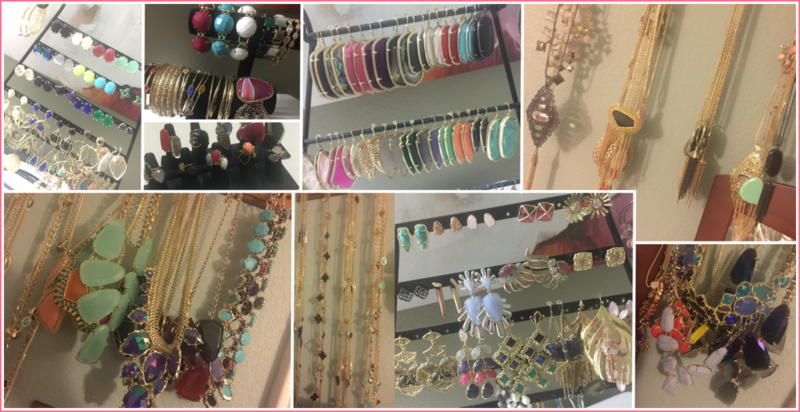 I thought I would show you guys some of my ever-growing Kendra Scott collection too. I love every piece, which I’ve acquired gradually, over the years. Hope you guys enjoyed the first Style Me Saturday feature! Lots more to come, especially as we approach Fashion Week! I love this fun new feature Vilma! Books and Fashion! Sounds like a perfect combination to me 🙂 I love the Yasmin hand bracelet!